Over one in five skin cancer patients suffering from advanced melanoma are now tumour-free following the trial of two combined immunotherapy drugs. Scientists say the "very promising" results include over three in five (64%) of the 95 patients given ipilimumab and nivolumab, being alive two years after being given the treatment. Over a fifth (22%) of the trial group now appear to have no tumours, according to the US-headed trial. Researchers randomly split 142 patients into two groups. One received the ipilimumab and nivolumab combination. The other just received ipilimumab. The lab-built antibodies are aimed at targeting some cancers which sidestep the human immune system. The immune system has in-built "brakes" to prevent it from attacking human tissue. Cancer, a healthy tissue corruption, can benefit from such brakes to prevent it being attacked. Nivolumab and ipilimumab are two drugs aimed at cutting these brakes. People suffering from cancer do not have to give up hope of a stress-busting holiday abroad. They can get tailor-made, cancer-related travel insurance which can ease the tension from their preparations. Such cover will ensure them round-the-clock medical attention and replaced lost pills, as well as the usual offerings like replaced lost travel documents and stolen possessions. Stephen Hodi, the experiment's co-leader, says the latest findings add to the medical professional's growing knowledge of aggressive cancers. 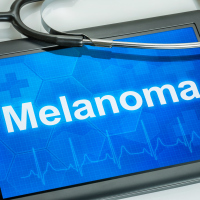 Dr Hodi, also director of the Dana-Farber Cancer Institute's Melanoma Centre, calls the results "promising" for patients with advanced melanoma. James Larkin, a Royal Marsden Hospital medical oncologist consultant, has conducted similar experiments. Dr Larkin calls the general survival rates using this drug combination "very promising". He says they offer more hope for skin cancer patients and their relatives. The findings were presented to the New Orleans-based yearly gathering of the American Association for Cancer Research.